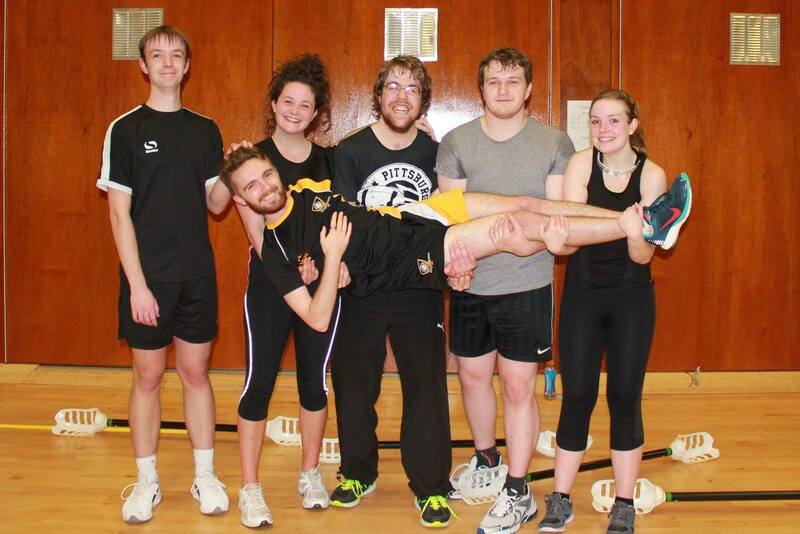 Support the VX Club as we try to cover 500 miles by cycling, running, rowing and much more! We’re the University of York VX Club and in only two weeks we plan to do 500 miles worth of sports to raise money for our club. Please consider donating today and help to ensure that our club remains affordable and inclusive for years to come! Firstly, our sport is called VX. Essentially it’s a mixture of lacrosse and dodge ball where players use a VX Stick (like a double ended lacrosse stick) to launch low pressure tennis balls at opposing players for points. Hitting an opponent with the ball gets points, missing doesn’t. Quite simple. It sounds painful but trust us, its not as bad as it sounds. It's a non-contact, gender neutral sport where men and women compete on a level playing field either on mixed teams or against each other. Our club has only been around for about 3 years and our main focus is making sure everyone feels welcome and comfortable when playing and enjoying our social atmosphere. The club has five values that it represents: Integrity, Respect, Inclusivity, Sportsmanship and Fun. As a club, we’ve decided to take on the challenge of completing 500 miles worth of exercise in only two weeks! Why 500 miles you ask, well we did originally think to do 250 miles, which is the distance we normally travel each year to get to Falkirk to compete in the CannonRose Trophy. 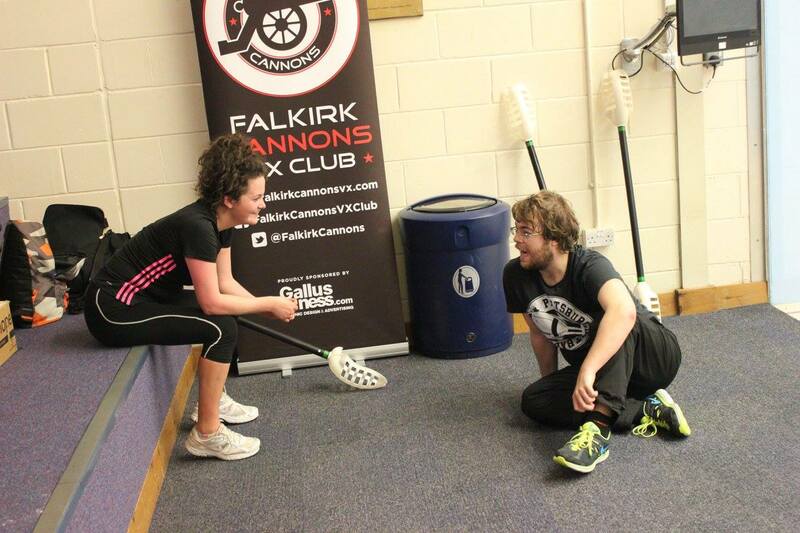 Then we thought that wasn’t enough of a challenge so we doubled it, to cover from York to Falkirk and back. Working on our club ethos of inclusivity and fun, we’re doing this as a team with each member covering as many miles as they can. Our miles will be done over a huge range of sports, including cycling, running, rowing and many more. Make sure you follow our social media channels where we’ll post our mileage every day to keep you up to date! We will be starting the 500 mile challenge on Sunday 12th February and finishing on Saturday 25th February. 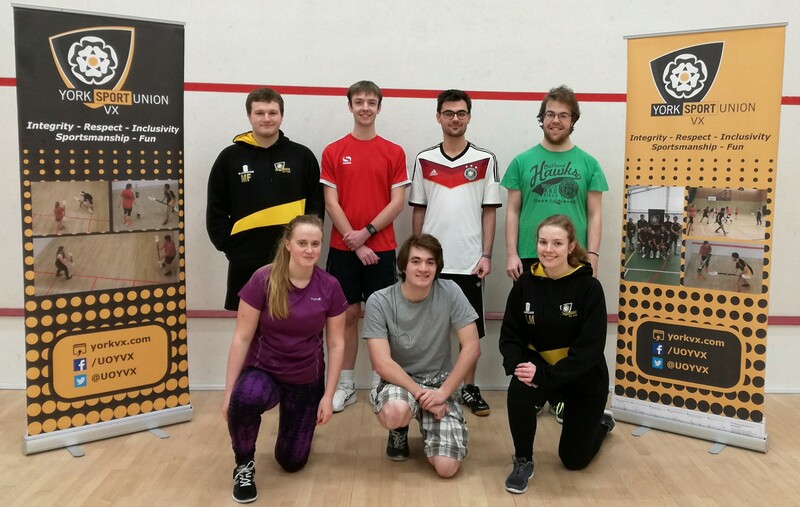 VX is currently one of the cheapest clubs to join at the University of York and we really want it to stay that way. However, covering equipment costs, purchasing new kit and travel to and from competitions isn’t easy! That’s why we need your help. We really want to keep our membership as low as possible to ensure that VX is accessible to any student no matter their financial situation. We want to be able to provide an inclusive sport for all students without having to break their bank accounts at the same time. All funds raised will go towards the running costs of the club and the purchase of new equipment. If we hit our full target amount then the club would be able to support students for the next 3 years, ensuring our membership fees stay as one of the cheapest for sports clubs at the University and also provide high quality equipment for the members to use. If we are able to fundraise over our target then any additional funds will help support the growth of our club ensuring that this brilliant, inclusive sport continues to thrive at the University of York. Donations to the club would have a huge impact to continuing our growth, our ability to support all our members and provide the highest quality equipment available for them to enjoy using. Donations would not only impact the health of students who take part but also their mental well-being, as sports clubs are a great support network for students to find help with issues in their studies and their personal lives. Our club has a huge range of students with different academic backgrounds and from different countries, but all have a single common ground, VX. Money isn't everything when it comes to fundraising and it would really help if you could share our project as much as possible. The more people that know about us and what our club is trying to achieve the greater the chance we will be able to hit our target! I know we said money isn't everything but it really does help, and even £1 adds up to make a big difference! Thank You! Social Media shout out! We'll let everyone know how much your gift means to us! Electronic signed Team Photo from the CannonRose Trophy - February 2017.